Extremely bright Blue and Red Gem Crystal Opal on a 14k Gold Ring with Diamonds. 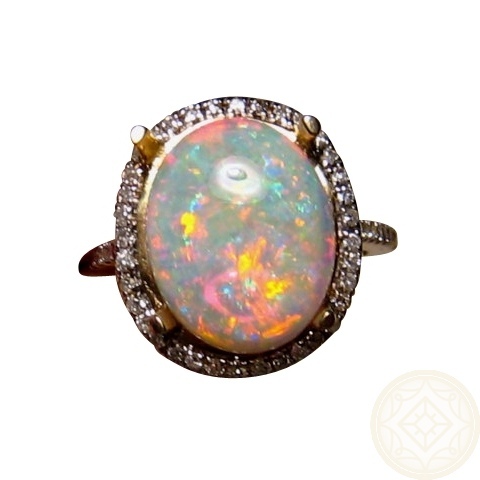 An exquisite Opal Ring with Diamonds. Shown in 14k Yellow Gold, the Crystal Opal is prong set with a halo of quality small Diamonds with Diamonds continuing on each side of the band. 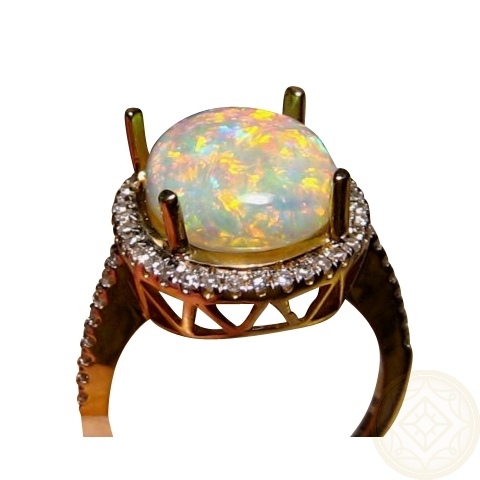 Triangle cut outs on the side of the setting allow light to the opal and diamonds. The Crystal Opal weighs 4.11 carats so a good size and with the colors of Blue and Red being so bright, this ring will get noticed. 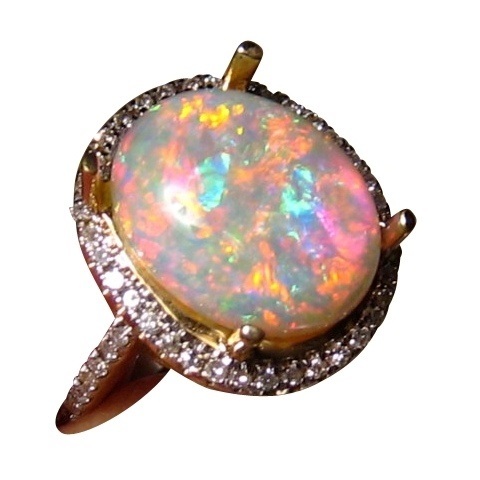 A truly beautiful ring that can be worn on special occasions or considered for an engagement ring but please read how to Care for your Opal before deciding. It is ready to ship as advertised or will take 14-21 days for a different Ring Size and Gold Color preference. 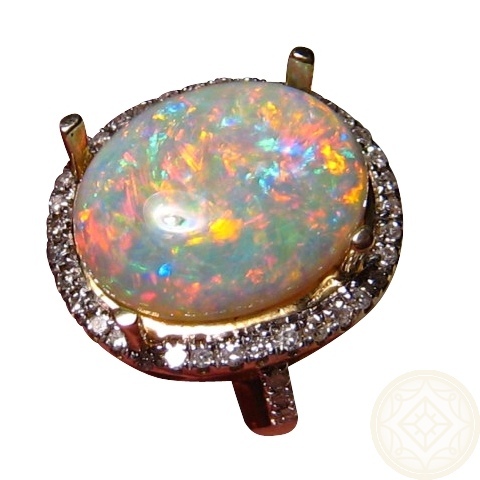 As with all opals that are not yet set, this stone can be mounted into a different ring or pendant setting or the current ring can be altered to your style. Simply inquire through this product for assistance.